My four beauties ( so far ). Oh, I like your girls! Gorgeous, congratulations on owning these beauties! Thank you all for your comments. I am happy that i can share my porcelain treasures with you. They are all beautiful, I look forward to seeing more of them! What beautiful dolls you have. I like immortal classic the best! 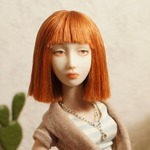 I was puzzled for a while when I saw Nune had not produced any new dolls for while. BTW I love the new male doll very much. Not sure of the price though! Thank you all for your comments. 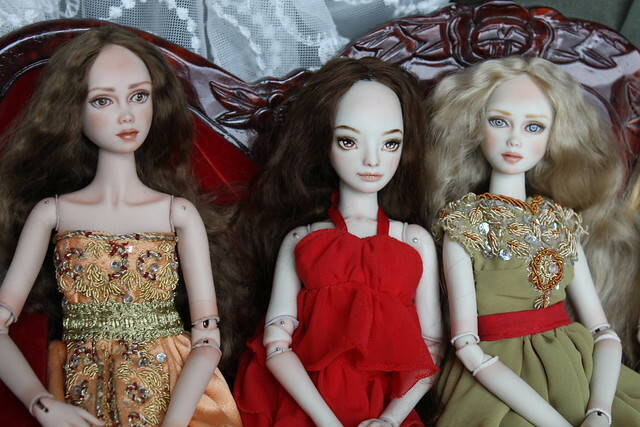 I am happy to have all these dolls that represent different talents and styles. I hope to add more porcelain treasures to my collection. Recently i've added two more dolls to my collection. One is by by Angelika Balan and another one is by Polina Myalovskaya ( Vividdolls ). Today i took some photos of my porcelain beauties. I found that they all different and have their own personalities which makes it more fun to play with them. 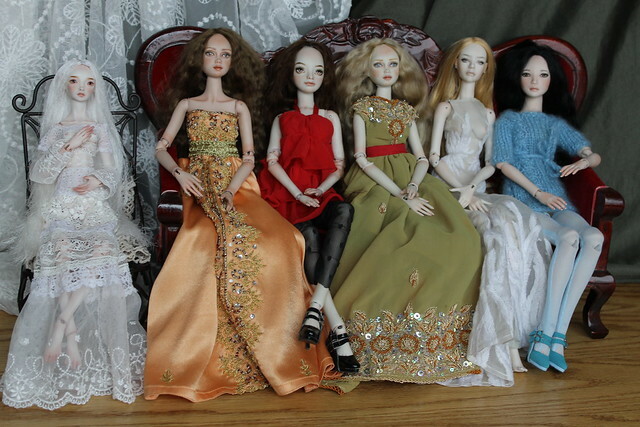 So here are my dolls ( from left to right: Vividdolls, Dollessence, Angelika Balan, Dollessence, Immortalcalssique, and JRdolls ). So many beautiful girls! You are the envy of many. Just beautiful! All the very best doll artists! And that Vivid doll! Love her! Thank you allurose and Crystal. I consider myself very lucky to have my porcelain dolls. I love all of them and hope to add more to my collection. They are all beautiful, and I love seeing them all together! It's always lovely to see several porcelain dolls in a collection with all their different charms. Beautiful! I must do the same at some point! Wow that is a tremendous collection. Perhaps at some point you could do some comparative shots between the different dolls for us. I always lie to compare doll artists and also the same doll artists painting and sculpting over time. Since you have 2 dollessence dolls, how much time passed between the two being crafted and did anything change?